Atitudes In Reverse is a 501c3 charity who's mission is to educate about good mental health and suicide prevention. Help us in bringing AIR to the Supernatural family across the US! And help start the conversation about good mental health! Jared Padalecki and the Baker Family share the same vision of breaking down the barriers of stigma that prevent so very many people from seeking treatment for behavioral health issues. 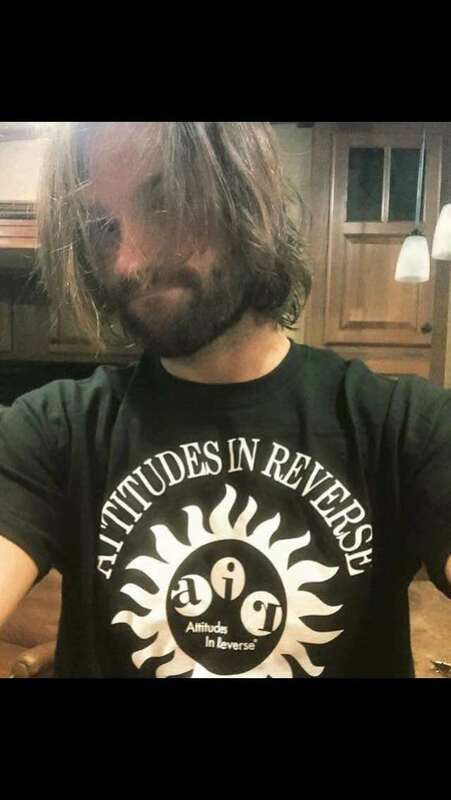 We have received many international requests for the Attitudes In Reverse® FAMILY BUSINESS T-shirt, since Jared wore his on the first day of filming episode 12. For a limited time, you can purchase an Attitudes In Reverse FAMILY Business here on Represent.